Discover specials, rebates, and incentives. 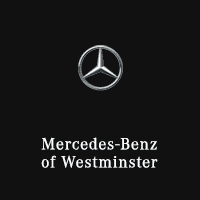 At Mercedes-Benz of Westminster we recognize that there is a type of driver who demands only the best-the best quality, the best design, and the best performance. The Mercedes-AMG® line of luxury performance vehicles is made for these drivers. Last year Mercedes-Benz of Westminster became the first Colorado Mercedes-Benz dealership to open a dedicated AMG® Performance Center, and the response has been overwhelming. More and more discerning Denver-area drivers are discovering the astonishing performance and sheer elegance of Mercedes-AMG® vehicles, and are choosing this premium luxury experience for themselves. Many people know AMG® as the more expensive and higher-performance version of many Mercedes-Benz vehicles. However, AMG® is so much more than just a brand within a brand. Each and every AMG® turbocharged engine is designed with performance as the primary goal. The result is a performance driving experience like no other. Since its inception, AMG® engineers have been designing and handcrafting the best-performing engines in the world. Of course the only vehicles befitting these marvels of automotive excellence are made by Mercedes-Benz, the best luxury carmaker in the world. AMG® was founded as a racing engine design group in 1967 by two former Mercedes-Benz engineers. It was initially an independent company that created modified versions of factory Mercedes-Benz vehicles and installed their own hand-built racing engines in them. The success of AMG® as a performance brand caught the attention of Mercedes-Benz executives, and a formal partnership began in 1993. Since that time, the tradition of hand-crafting each engine that goes into a Mercedes-AMG® vehicle has continued. Each handcrafted AMG® engine is built with a single engineer dedicated to overseeing its assembly. It is this One Man, One Engine philosophy that has made AMG® engines the envy of the sport performance world. The designers, engineers and technicians at AMG® are performance enthusiasts, dedicated to building the most advanced turbocharged automotive powerplants possible. This engine is the most powerful of its kind in the world. Delivering up to 375-horsepower and 350 lb-ft. of torque, the 2.0-liter twin-scroll turbo is in a class of its own. Capable of delivering more than 500-horsepower and 516 lb-ft. of torque, the AMG® 4.0-liter biturbo V8 is both compact and powerful. It is also the world’s first performance engine with the turbos located within the V of the engine. 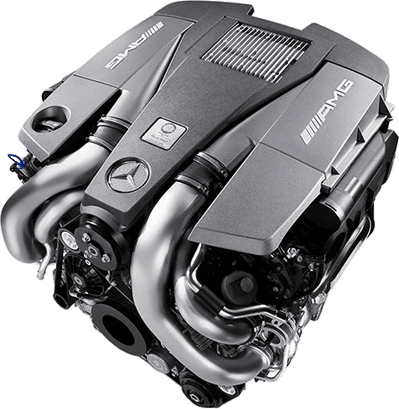 With its spray-guided direct injection and twin turbochargers, the AMG® 5.5-liter V8 delivers up to 577-horsepower and 664 lb-ft of torque. It is also the engine found in more Mercedes-AMG® vehicles than any other.